Have a smaller gathering? 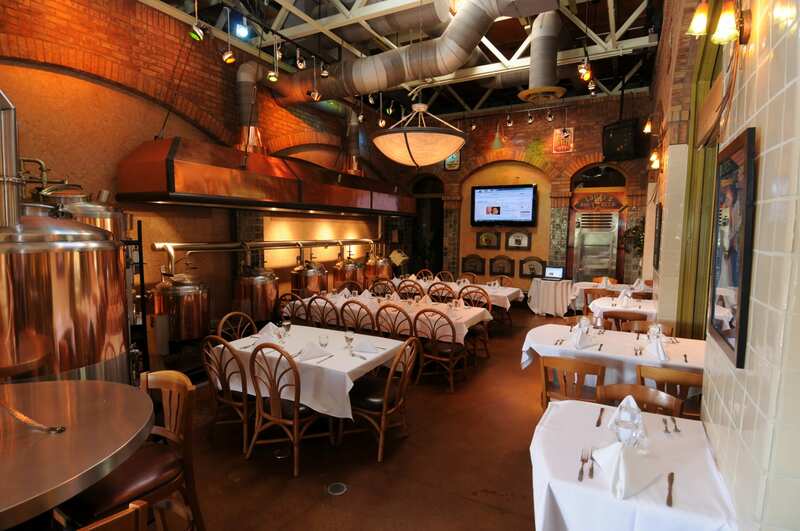 Ask about our semi-private options throughout the restaurant for groups of 25 or less. 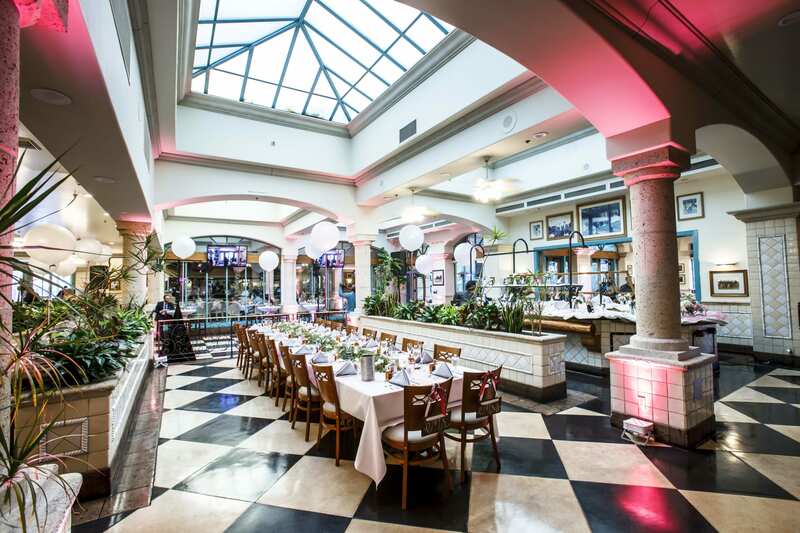 This beautiful 14,000 square foot restaurant has a southwest ambiance, and is decorated with golf legends of the past and present. 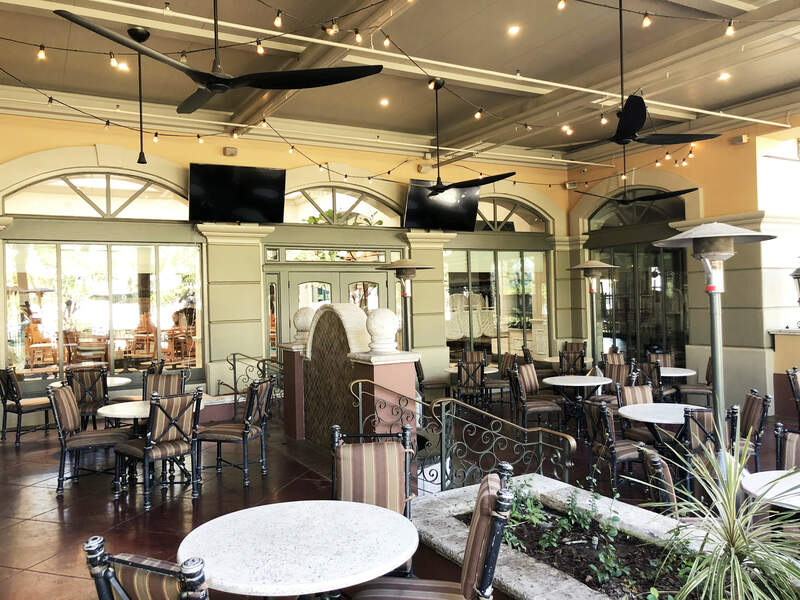 The covered outdoor patio complimented by our awesome Southern California weather is perfect for any festive celebration. Six heaters keep it comfortable when it gets a little chilly, and 6 gigantic fans keep it cool. Two 65" screens are pre-wired for your personal media. The lighting is complimented by strings of cable lights for the perfect party atmosphere. The patio can accommodate groups up to 70. The brewery is where we used to brew beer, but discovered our system was too small to keep up with demand. The equipment is functional, really cool to look at, but no longer in use. This room can accommodate groups up to 45, and is perfect for business meetings, presentations, and smaller birthdays and showers. It has a 70" TV and is wired for your personal media. 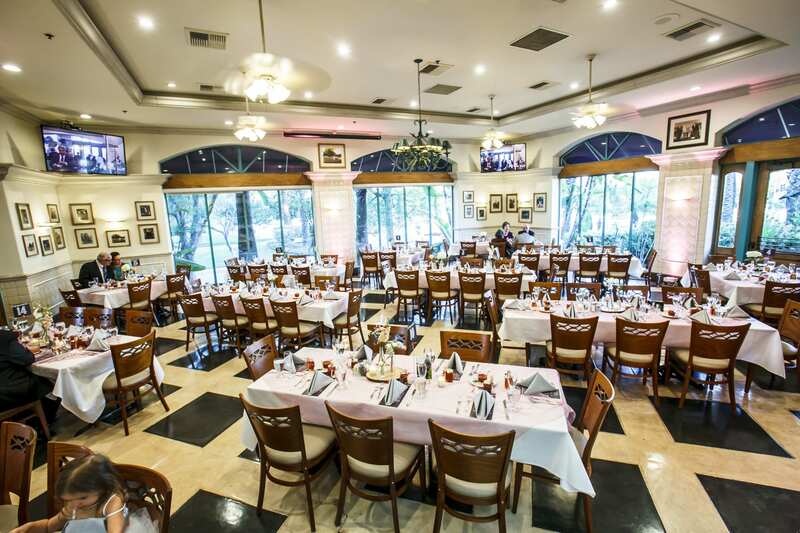 "The Green" is our largest banquet room and is adjacent to the patio. The green can accommodate up to 100, but when used in conjunction with the patio can seat up to 150. It has two 65" TV's which can be utilized for you personal media. The green is perfect for everything from a casual business function to an elegant wedding. A private bar is also available with this room.